Nevada may be the US Mecca for most gambling but New Jersey is making its case as the destination for sports betting. The Garden State accepted over $385 million in sports bets for March 2019. That figure places the New Jersey market near the median and average for monthly handle in Nevada, even though sports betting in New Jersey has yet to celebrate a one-year anniversary. That fact makes its presence as a force in sports betting is all the more astonishing. Chief in its rise to success has been New Jersey’s embrace of mobile sports betting. The state’s 13 online sportsbook apps collected roughly 80 percent of that $385 million last month. The only damper that might come for the Garden State’s online success is Pennsylvania. The Keystone State could launch up to 7 sportsbooks in Summer 2019, and it’s impossible to tell the effect that will have on New Jersey’s de facto monopoly on online gaming. Oral arguments in the New Hampshire Lottery Commission‘s lawsuit against the US Department of Justice took place last week. A New Hampshire federal judge listened to both sides plead their cases for fairness and standing. As it happens, lottery officials had to begin by arguing that they still had a point of contention with the government. Earlier in the week, US Deputy Attorney General Rod Rosenstein appeared to have absolved them of that responsibility by issuing a memo to declare lotteries exempt from the Wire Act. Thankfully, Judge Paul Barbadoro denied that the memo had changed anything about the NHLC’s standing in the lawsuit. Barbadoro also identified several logical and semantic errors in the case and the Wire Act itself. The judge will likely render his decision in the matter sometime in late May. However, regardless of the outcome, the dispute between the NHLC and the DOJ is likely to see another day at the appellate level. Get the status of online gambling and sports betting in each state and the broader climate for legal gambling in each state with our Guide to Gambling in the US. Where Is Online Gambling Legal In The U.S.? New Jersey is currently the largest market for regulated online gambling in the US. Over a dozen legal and licensed online casino sites and poker rooms compete for an overall market that is worth more than $225 million a year. There are a number of sportsbooks and online sports betting apps live in the state. Nevada was the pioneer of regulated US online gambling but only offers the chance to play poker. In addition to poker, Nevada also allows players within the state to bet on sports using mobile apps. Delaware can’t boast the size that New Jersey has managed with its online gambling market, but the state’s legal casino games and poker sites are growing after a sluggish start. Delaware shares its online poker pool with both Nevada and New Jersey. Single-game sports wagering is also legal. Pennsylvania is the fourth and biggest state to legalize and regulate online gambling. The new law allows for online casinos, online poker, sports betting and more. The first sportsbooks started launching in the state in late 2018. Online sports betting and casino should launch in early 2019. West Virginia is one of the first states to unroll sports betting in the wake of the US Supreme Court decision. The law allows for mobile sports betting as well, and the first apps have started to launch. California: The state has been trying to pass a bill to regulate online poker for the better part of the last decade. Online casino has never been part of the conversation. Observers aren’t that optimistic about the chances that legal online poker will fare any better in California in 2019 either. New York: After several years of slow progress, it appears as if New York may be now ready to move on legalizing online poker. The state’s constitution prohibits expansion of gambling without a public vote (poker would be considered a game of skill and therefore not gambling), meaning that online casino is unlikely. The online poker bill did not pass in 2018, but it gets a fresh look in 2019. Massachusetts: The state has floated a few bills to legalize and regulate online gambling in recent years. The state Gaming Commission has become increasingly vocal on the issue, as has the Lottery, suggesting that momentum may be approaching critical mass. The state also has land-based properties from Wynn (in progress) and MGM Resorts (opened 2018). 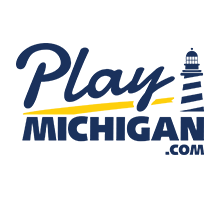 Michigan: Bills to legalize online casino and poker have been a part of the legislative conversation in Michigan, and one was actually sent to the governor in 2018 before a veto. Expect another push to legalize online gaming and sports betting in 2019. From the complex to the simple, casino games feature a variety of skill levels and potential winnings. Every casino has slot machines, many with a selection of video poker machines among them. Classic table games including blackjack and roulette are also popular and always available. 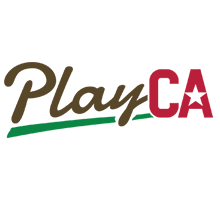 Craps and baccarat games are slightly more complex but also common in many casinos. Use this full guide to understand the basics and how to play. Sports betting is currently legal in eight states: Nevada, Delaware, New Jersey, Mississippi, West Virginia, New Mexico, Pennsylvania and Rhode Island. Currently, several other states have active bills and 2019 legislation in progress to create additional land-based and mobile sports betting options throughout the US. Here is a complete guide on where to bet. Plus, find out which states are in the process of legalization. While a majority of US states offer a form of lottery play, only a select few offer the addition of an online lottery. These states are Georgia, Illinois, Kentucky, Michigan, Minnesota, New Hampshire and Pennsylvania. Get a brief history of the online lotteries in these states and an overview of the types of games offered. Legal, regulated online poker is available in Nevada, New Jersey and Delaware. New Jersey has the largest amount of poker networks, while Nevada’s only regulated online poker is through World Series of Poker (WSOP). Similarly, Delaware has one sole poker site, 888 Poker. Get more information on where and how to play at various online poker providers, plus details on Pennsylvania’s online poker debut in early 2019. Horse racing is one of the oldest forms of gambling and is legally available in most states. Not only can you go to racetracks around the US, you can also bet on your phone or online in more than half of the states in the country. Learn more about your options for legally bet on the ponies and how to wager. Daily fantasy sports (DFS) operators, such as DraftKings and FanDuel, are available for play in most US states. However, many states come with legal, gray areas and operators that only serve select states. More states, including New York, have gone through various DFS legal battles and/or have legislation in progress. Get a full rundown of where to play and new promotions. Can you gamble online in the United States? Yes, you can gamble online legally in the United States. Right now, you can gamble online in the US in a select number of states where online gambling has been made legal. The types of online gambling that are legal in the US include casino games, online poker, online lottery and online sports betting. See the next question for details on exactly where and how you can gamble online in the United States. Remember, just because a site accepts players from the US doesn’t mean that it’s a legal online gambling site. Online gambling is made legal the same way any other kind of gambling is made legal in the United States. A state government passes a bill to allow certain kinds of games to be played online. Those games are then regulated the same way as the games at a land-based casino would be. Where is online gambling legal? For online casino, you can gamble online in New Jersey, Delaware, and soon Pennsylvania. For online poker, you can legally play online in New Jersey, Nevada, Delaware, and soon Pennsylvania. For online sports betting, you can gamble online in a number of states, and that number is growing every day. New Jersey, Nevada, and West Virginia, with Pennsylvania soon to join. For online lottery, you can play games online from Pennsylvania and Michigan. There are also illegal gambling sites that allow you to gamble online from the United States, but we advise against using those sites as they are not safe and you can’t be sure that the games are fair. How do I know that a site is a legal online casino site? Scroll down to the bottom of a casino site and look for the logo of your state’s gaming regulatory body. In New Jersey, this is the Division of Gaming Enforcement. In Pennsylvania, this is the Pennsylvania Gaming Control Board. If you don’t see a logo or mention of your state regulator, then you’re not playing at a legal online casino or sportsbook. Some sites may proclaim to have regulations in other jurisdictions; this does not make those sites legal. If you have any question about the legality of an online casino or sportsbook, reach out to your local gambling regulators or feel free to contact us. Remember, only state-regulated, real-money online gambling sites are legal. The rest are operating illegally, and you should not trust them with your money or personal information. What kinds of games do legal online casinos offer? Online casinos offer many of the same games you’ll find in a land-based casino. All of the standard casino games, like blackjack and roulette, can be found online. You’ll also find almost all of your favorite slot titles online, including big-name slots like Deal Or No Deal and a wide variety of progressive jackpot slots. The same companies that make the land-based slot machines also make the online slot machines, so the gameplay, features and graphics are all the same as your favorite games. As a bonus, online casinos are always adding slots. The largest legal online casino in New Jersey in games (the Golden Nugget online casino) offers nearly 600 different slot machines and adds almost a dozen new ones in an average month. How good is the payback for legal online gambling games? The payback is often as good or better than what you find in a land-based casino. This is especially true when it comes to games like blackjack and video poker. You can find high-payback versions of these games online at limits you won’t find in a typical land-based casino. That’s because the online casino doesn’t have to worry about making the most money per square foot the way a land-based casino does. Online gambling customers also tend to be very price-savvy, meaning that online casinos have to compete in price to attract top customers. That leads online casinos to offer blackjack variants that pay nearly 100 percent back and the highest-paying versions of other popular games like roulette and craps. Remember, the house still has an edge. But the smaller the edge, the longer you can play. Do any sites offer all major types of online betting? Several online gambling sites in the legal New Jersey market offer a full range of gambling choices, including poker, sports betting and casino. A few examples of operators that offer all three products include Caesars and BetStars. As legal online betting continues to expand in the US, you’ll see more legal gambling websites open up a greater variety of products. The one that is likely to remain somewhat limited is online poker, as not all legal sites are making a choice to offer poker. Do any legal online casino sites offer free bets? Yes. The free bet is a common promotion at real-money online gambling sites in the US legal market. In fact, it’s a rare casino or sportsbook that doesn’t offer some type of free bet. For casinos, the typical free bet ranges from $10 to $25 and is available only for new customers. Different terms and conditions apply, so be sure to read the fine print. For sports betting, free bets range from $10 up to $50 and also are only for new customers. View current free casino bet offers here and free sports bet offers here. How do I deposit to play for real money? Different legal gambling sites offer different deposit and cash-out options, but the most common options include credit/debit card, prepaid cards, bank transfer, PayPal and depositing at the casino. You can generally pick up your winnings in cash at the casino, request a check or get a bank transfer. Generally speaking, most transactions are settled within a few hours, but there may be some brief delays for your first deposit and your first withdrawal. One of the great things about legal online gambling sites is that they make it much safer to gamble online versus playing at illegal online gambling sites. We break down the advantages of legal online gambling sites versus illegal sites below. You know the games are fair. They’re regulated and tested by the same agencies that oversee land-based casinos. You know your money is safe. Legal online casinos are required to safeguard your funds. You’ll get paid if you win. It’s always a fear that an illegal online casino will just not pay you, because there’s little to make them do so. But legal online casinos are safe to play at, because they are required by law to do so – and have their license at risk, along with various civil and even criminal penalties if they don’t pay you. Illegal offline casinos may look legitimate on the outside, but the reality is that you have no idea who you’re dealing with behind the scenes. You also have no idea if the casino is going to close one day and take your money with it. But with legal online gambling sites, your money is secure, as companies are required by regulation to keep customer deposits separate from operational accounts. This helps to ensure that you always have access to your funds, no matter what happens. Illegal gambling sites may tell you their games are fair and tested, but how do you know? With legal online gambling operators in states like New Jersey, the games are tested by the same regulators who test everything at the land-based casino. That should give you confidence that a slot machine is paying back what it’s meant to pay back, that a deck of digital cards is dealt fairly, and that every other aspect of every other game is on the level. And games aren’t just tested — legal online casinos and sportsbooks are required to submit detailed reports of everything that happens within a game so that regulators can spot anything irregular. That record-keeping means that if you have a dispute with a casino, regulators will be able to solve it with facts. You can’t get that level of assurance at illegal gambling websites. Everyone knows the casino has the edge. But some people get lucky and hit that progressive jackpot, or hit that 12-leg parlay bet at the sportsbook. The internet has many stories of people who won big at an illegal online casino only to find that getting their money was tougher than winning it. That’s not the case with legal online gambling sites. They pay out the same way they would if you got lucky at the roulette table in their land-based casino. New Jersey’s online casinos, for example, have several multimillion-dollar slot jackpots, and its sportsbooks have already paid out some significant massive parlays. When you shoot for a big payday on a longshot at a legal online gambling site, you can have confidence that you’ll actually get paid should luck strike. Many legal online casinos are operated by the same company and brand as a land-based casino, meaning that you have the opportunity to earn points via their online gambling site that can be used at the land-based casino. One example: Caesars, where you can use your online points — for the casino, poker and the sportsbook – just like any points you earn gambling at the casino. For those of you who get the value of rewards points, this is a big advantage and one that you’re never going to get gambling at an illegal site. You can improve your status tier and earn points that can be redeemed for a variety of rewards by playing online, points that can add up over time. An illegal casino could be run by anyone, anywhere. You have no idea what the revenue you help them generate ends up going. But with legal online gambling sites, you know exactly what companies you’re supporting, and they’re often companies that operate in your backyard — they may even be companies who employ people that you know. Let’s face it; most of us won’t come out winners at the casino, but it’s nice to know that the money we leave behind goes to supporting something we can feel good about, as opposed to contributing to illegal activity. One of the biggest online casinos by revenue, the Golden Nugget is run by the same company behind the Atlantic City casino. 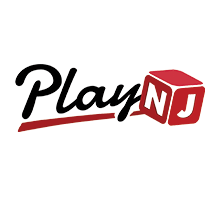 One of the leading casinos from the international market operates in the legal New Jersey online casino market via a partnership with Golden Nugget. The globally known Virgin brand offers real-money gambling in New Jersey through a partnership with Tropicana. The biggest single name in American gambling is available online, and is integrated with the casino’s Total Rewards program. The popular Philadelphia casino now has an online arm thanks to a partnership with the Golden Nugget.